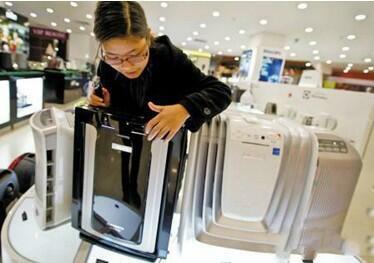 Why Are Air Purifiers Becoming Increasingly Popular? 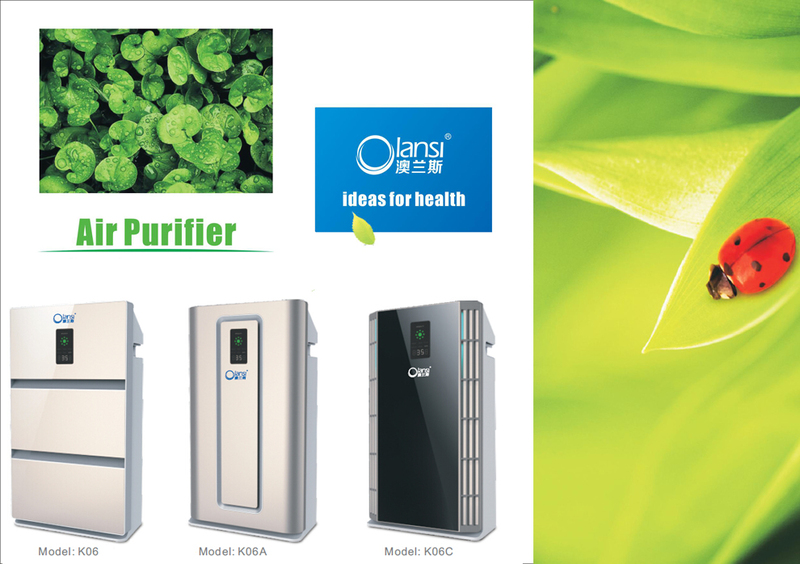 Olansi Healthcare Co., Ltd (Olansi Healthcare Co., Ltd, Guangzhou Olans Water Treatment Equipments Co., Ltd, and Guangzhou Zenfly Environmental Protection Equipment Co.,Ltd these three factory all belongs to our President Mr. Peng Wei) is a professional factory of HEPA air purifier, electrostatic air purifier, ionizer air purifier, room/office/home/school air purifier, UV air purifier, movable air purifiers,hydrogen water pitcher,hydrogen water maker, hydrogen water generator etc. Healthcare products. It locates in Guangzhou, Guangdong, China. 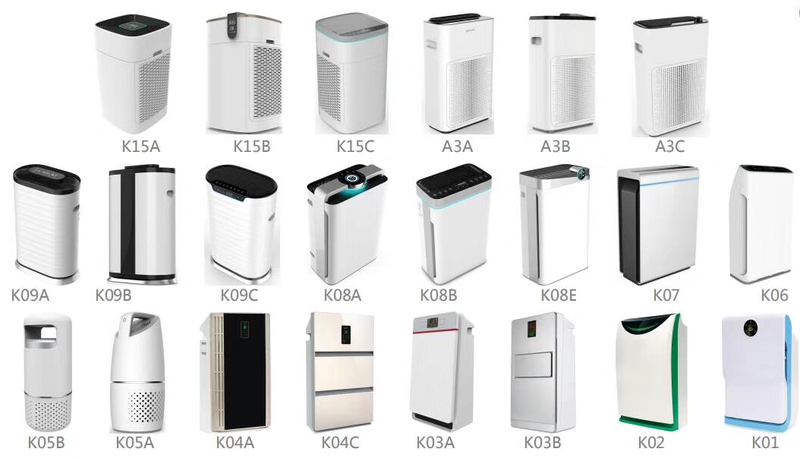 As we can see from the air purifier demand in market, air purifier is getting hotter and hotter in some countries or regions. 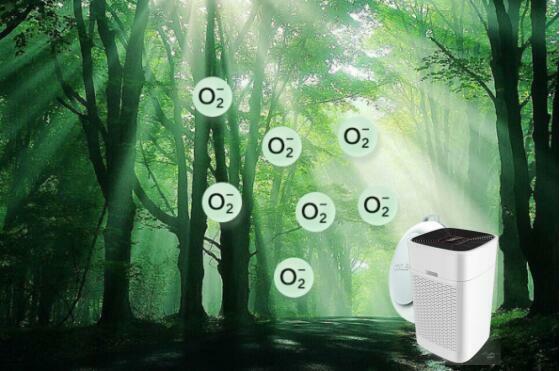 The air purifier demand is mainly duo to air pollution. Air pollution has two main forms, outdoor and indoor air pollution. While the average person can not affect much on outdoor air pollution it can certainly do something to at least have clean air in his house or office. After all, these are the areas where we spend most of our life, and by keeping air healthy in these areas we are doing great deal for our health. Many people are not aware that indoor air pollution is much bigger health issue than outdoor air pollution. In case if you have ever wondered why so many people suffer these days from allergies it is because indoor pollution problem. There are some nasty germs that can do quite a damage to our health, mostly in form of unpleasant allergies, so it is vital to keep our air as clean as possible. Sometimes all what it takes is opening the window but sometimes this would not be enough, and then there is only one solution, namely the air purifiers. Once plugged into the electricity they can continuously make your air clean, and ensure that these nasty germs and other harmful particles will be removed before they can create damage to your health. Not only that they clean your air but they also reduce unwanted odor that could come from different places. The things you should look at when buying one of these air purifiers are efficiency, and noise. The last thing you need is some device that does not do its job properly, or does it properly but produces noise like having tank in your house. The best solutions are always the most expensive ones but in this case it is better to spend more money, and get the best possible solution for cleaner air. For indoor users, whether you are healthy, sick, young, or old, you can still benefit from an air purifiers. Allergies, asthma, respiratory problems as well as infection of viruses and illnesses can all be linked to indoor pollution. 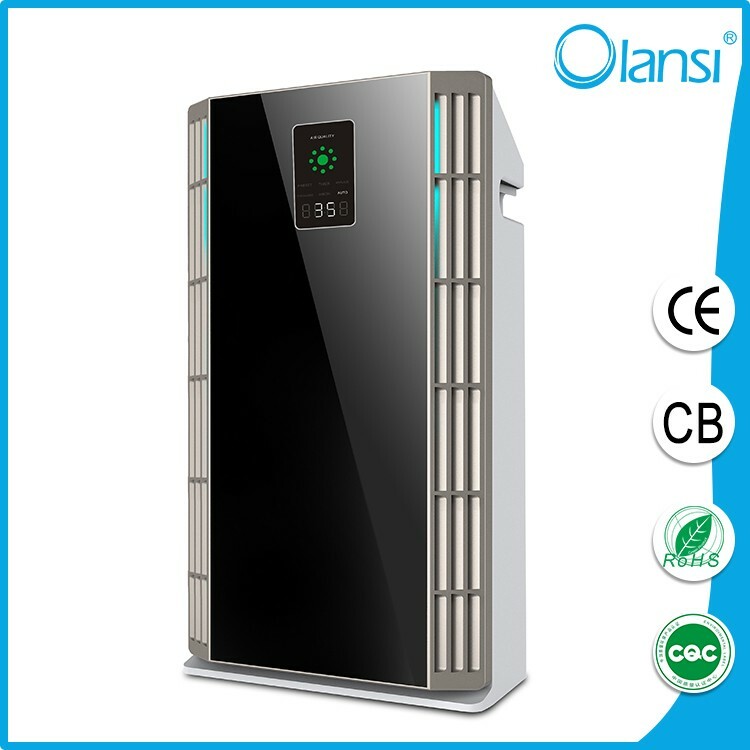 Investing in a top quality air purifier can safeguard you and your loved ones by greatly decreasing your risk of sickness in connection with indoor pollution. Every home contains these toxins in the environment, even ones which are often cleaned thoroughly. It is proven that this air within our homes could be more harmful compared to the air outside because air inside the home recirculates and not has the chance to be filtered. Allergens at home like pollen, mold, and pet dander could be very irritating to those vulnerable to allergies. Asthma, an inflammatory disease from the lungs, could cause symptoms such as coughing, runny nose, red eye, bloating, fatigue, dizziness, and congestion. Air purifiers provides a huge relief and solution for those symptoms, by greatly lowering the amount in the allergens in mid-air. This also can reduce down the price of expensive medications which are often accustomed to treat these illnesses. Air purifiers can also decrease the spread of illnesses and viruses such as the common cold or even the flu. They are very beneficial to those with low immunity, such as the elderly and families with children simply because they lower the spread of illness. By filtering the environment, air purifiers prevent these illnesses from spreading at home, reducing the likelihood of contamination with other people in your home. Elderly people and children with low immunity often will not have the way to combat infection and illness so that they are particularly vulnerable to such contamination. Children in class and daycare centers tend to experience sicknesses at school which are easily brought home and spread towards the family. There are lots of toxins in your home as in pollen, mold, animal dander, smoke, bacteria, and germs. The air at home will be a lot cleaner should you decide to purchase an air purifier since they filter or ionize the environment. Henceforth lowering the indoor toxins significantly. 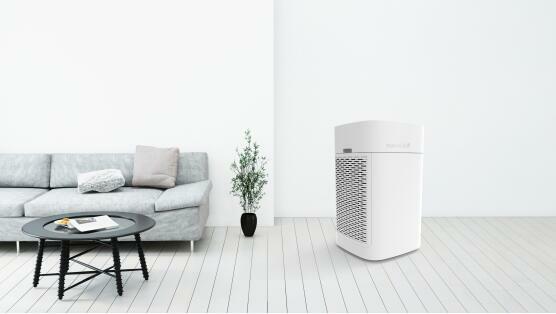 Air ionizers and HEPA filters will be the most commonly used air purifiers. 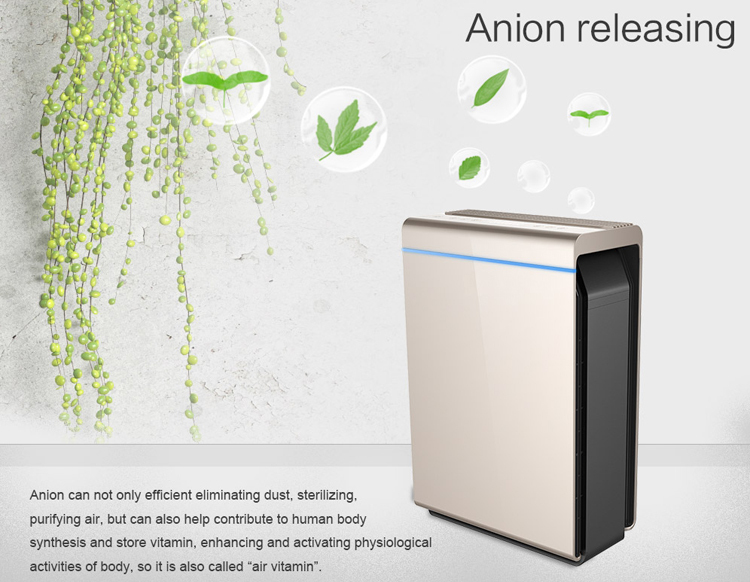 Air Ionizers distribute negative ions throughout the environment causing the toxins to bond and fall out from the air. HEPA filters draw the air through use of a fan, where it filters the surroundings and send it back through the entire home. In our society today, there is certainly more pollution now than there ever was before, especially in your home. Owning an air purifier is an effective approach of protecting yourself and your loved ones from such toxins. Air purifiers are necessary for the home as they tend to do a great job in cleansing and decreasing the level of pollution at home. More importantly, they decrease the probability of anyone developing sickness caused by indoor toxins. With all being said, air purifiers are definitely among the best home appliances you can get for your personal and long-term health today and for years to come. As we live inside ,but the air still not fresh around our breath. 94% of the respiratory problems arise because of air contamination, and inhaling of harmful particles suspended in the air. Children are affected more so with contaminated air because their respiratory systems are more prone to diseases than adolescents and adults. Children and people with respiratory problems have a hard time adjusting to their surroundings as compared to people who do not have breathing problems. As we will think that our bedroom is more cleaner than living room.but most of the bedroom pollution came from bedding. The main part of the bedroom is the dust on the bottom of the bed, carpet and air conditioner. It is easy to lift it into the lungs while walking or shaking the quilt. Dust mites and body exfoliation can be allergic if they are inhaled. But as we do a research that 70% of household pollution originates from the kitchen. This is the data shown in the survey report of China Quality Miles Home Air Pollution. A study by the University of Sheffield in the United Kingdom found that when cooking with gas, the amount of nitrogen dioxide in the kitchen can reach three times that of the outside world, and the dust concentration is also higher than outdoors. In addition, the common open fire, the higher temperature, easy to accelerate the release of formaldehyde and other pollutants in the cabinet. Now people generally know that haze hurts the lungs and usually wear masks when going out. However, people indoors will not wear masks and will fully expose themselves to pollution. Formaldehyde and other harmful gases in furniture and decoration materials can cause skin allergies and leukemia; combustion of gas in kitchens, pyrolysis of foods, and lung cancer can be triggered. The Cancer Research Institute of Tongji University in Shanghai found that women who have been exposed to high-temperature fumes for a long period of time suffer from lung cancer. The risk is increased by 2-3 times. In indoor smoking, smoke contains more than 7,000 compounds, including 69 types of carcinogens and 172 harmful substances, which can cause lung cancer, heart disease, bronchitis and asthma. For More cleaning space we live,we need to choose a good product to be with our life. *22,000 m2 factory size with our own R&D, mould factory, injection factory, filter factory, production, sales department. 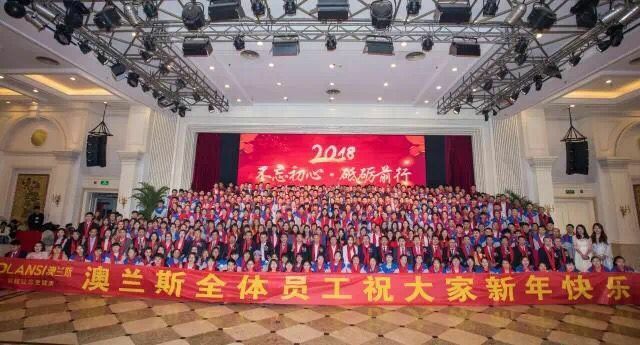 *450+ employees, 5000pcs/day production capacity. 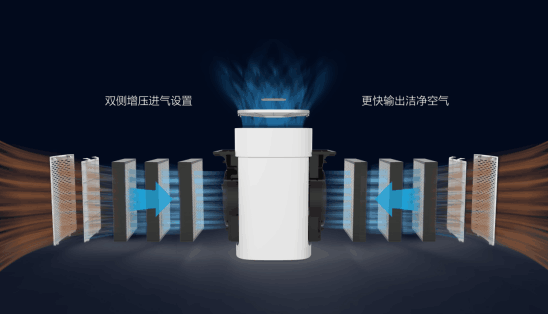 I believe you sincerely want what is best for your family and that you really want to make a good choice of whole house air purifier. 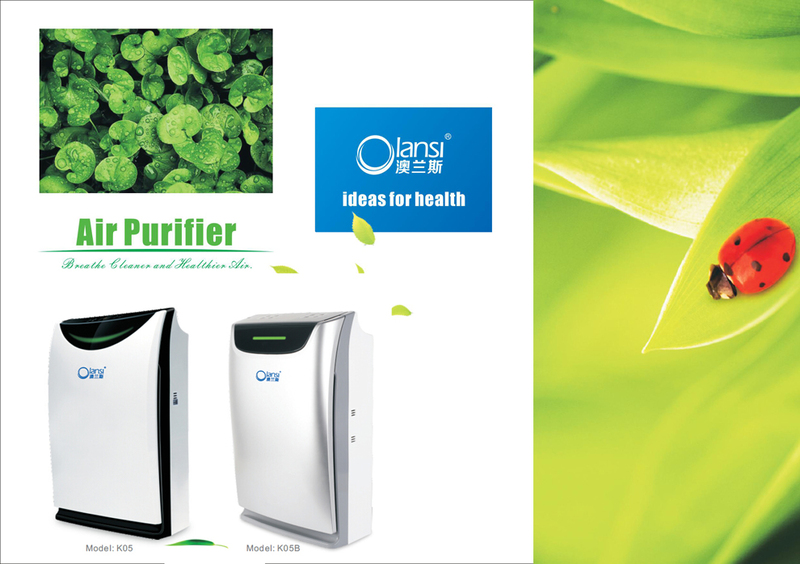 Olansi Healthcare Co., Ltd(Guangzhou Olans Water Treatment Equipments Co. Ltd) is a professiona whole house air purifier manufacturer producing negative ion air purifier,active carbon air purifier,hepa air purifier,antibacterial air purifier and so on. 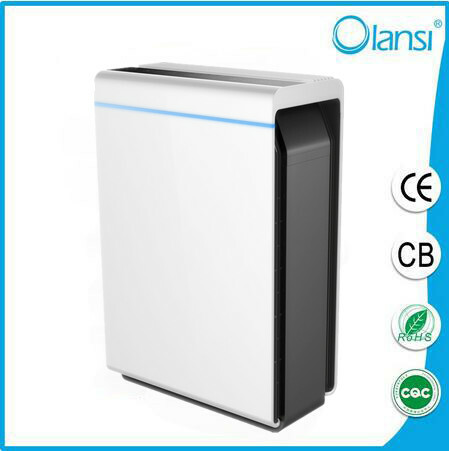 Olansi people will tell you why it is needed to choose a best whole house air purifiers and cleaners, central air purification for home healthy. Before purchasing an air purifier for your home, it would be beneficial to do a little online research in preparation for your trip to the store. Make a list of the things you and your family would like in an air purifier, and bring this list with you to the store. This way, you’ll be able to match a purifier to your specifications far more quickly and accurately. You will also find it far easier to ask questions and stick to your budget if you know what you are looking for ahead of time. For those who suffer from seasonal allergies, asthma or other respiratory illnesses, breathing polluted air on a regular basis can be painful or even cause further degradation of health. Even those who are otherwise in good health can develop health problems over time. One way to avoid this type of debilitating illness is installing an air purification system in your home. Unlike single-room air purifiers, whole house air purifiers can be installed on your home’s ductwork, connecting the purifier to your furnace or central air. The whole house air purifier would then be able to cleanse your entire home, functioning in correlation with your other air circulation systems. In addition, whole house air purifiers are placed in areas of the house where you will have limited visibility of the unit. Although they are larger than single-room air purifiers, whole house air purifiers use powerful ionization and oxidization systems to cleanse the air in your home. While the initial monetary output for a whole house unit installation may seem daunting, the combined cost of multiple single-room units in one home is considerably higher. Over time, the filters in all of the smaller units would need to be changed and cleaned, while a whole house air purifier only requires one filter change every few months — saving you time and money. In addition, whole house air purifiers require very little in terms of maintenance costs; with regular servicing, they can last up to 20 years. Even if you forget or simply don’t have the cash for unit upkeep, your whole house air purifier model will still last considerably longer than single-room air purifiers: that’s the difference in quality and sturdiness. After your whole house air purifier has been installed, not only will you breathe clean, fresh air, but you’ll also feel much healthier. 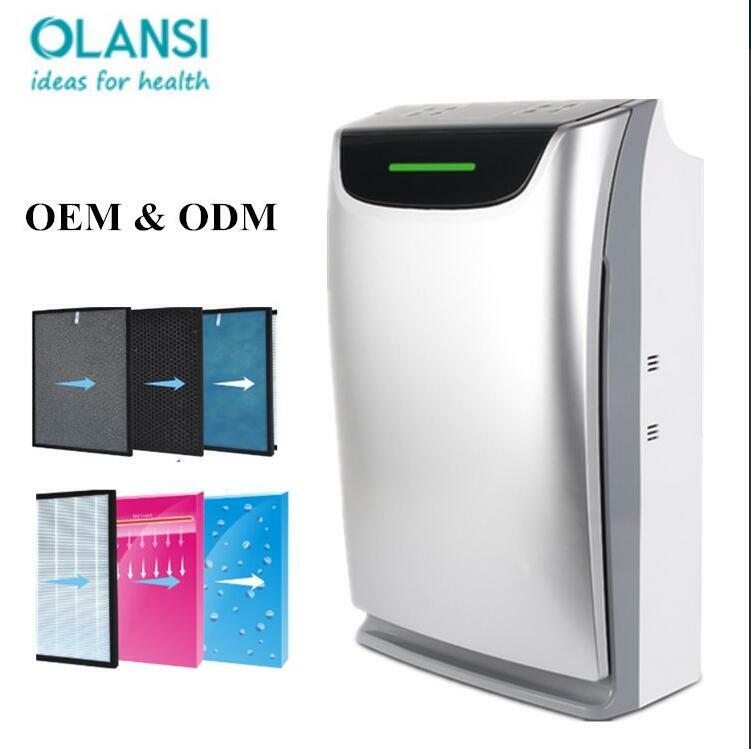 With only a little required maintenance and a filter change every few months, a whole house air purifier will certainly provide you and your household with a convenient and aesthetically pleasing option to purifying your home’s air.You can pay a visit to Olansi website https://www.olansi.net for more info about whole house air purifiers.